We live in a world where innovation is king. Everybody wants the latest technology and everybody wants ease. The duct cleaning industry is no different. There have been many innovations within the industry over the years. The techniques used originally were negative air pressure cleaning – commonly known as “the traditional method” and direct or manual cleaning. Now, innovations have been ushered in through cleaning with mechanical agitation equipment and robotic cleaning. 1. What is the size of the duct? 2. Can we access the ductwork? In a rooftop, where there is usually a lot of access and the duct is large, manual cleaning is commonly used. With horizontal ducting, when it is large enough, manual cleaning could be undertaken and, as it narrows, mechanical/traditional and robotic cleaning could be undertaken. 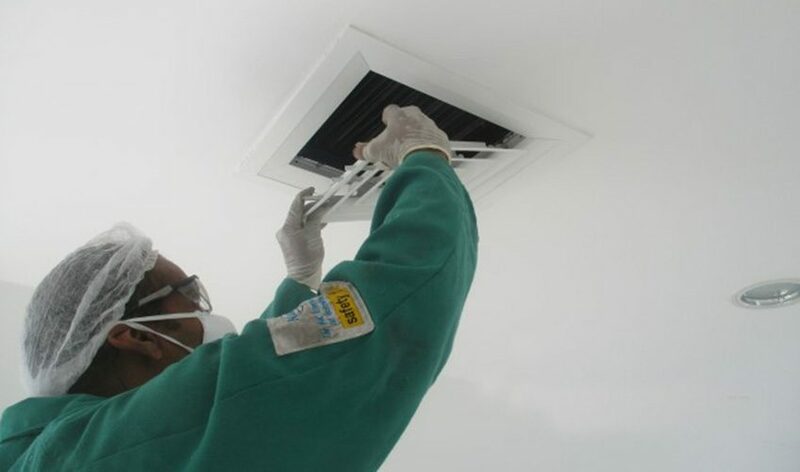 In my 12-year ambit of experience with duct cleaning projects in the UAE, I have observed many differences within the projects from the size and scale to the use of the buildings. However, one thing remains as a constant – there is never enough access. When HVAC systems are planned, designed and constructed the only access that is installed is usually at the fire damper, and if you are lucky, the riser. The installation of access is critical, as the more access we have, the cleaner we can get the ducting. Before 1989, duct cleaning was very haphazard. Companies that were hired to clean, typically hand-swept the duct clean with a damp rag and moved on. This caused all kinds of issues from dirty surfaces to polluting the air with dust and, potentially, mould. It led contractors to ask if there was a better way to clean the ducts. The answer was direct source/contaminant removal. The term direct source contamination simply means that any contaminants found within ducting should be directly removed using vacuum equipment. This vacuum equipment should be capable of containing all collected debris and be HEPA rated. The inadequacy of this method ultimately led to the formation of The National Air Duct Cleaners Association (NADCA). The newest innovations have been seen within the robotic cleaning sector. There are various manufacturers in the United States and Europe that are leading the way in this technology. However, when we use robots for cleaning, the result is inconsistent and their range is limited, as it is difficult for robots to navigate dampers and turning vanes. As a result, contaminants are left in the corners of the duct. Consequently, the technology has quite a way to go to match the cleaning quality of the agitation method or, better yet, the manual/direct cleaning approach. Therefore, currently, there is no better cleaner than a person. 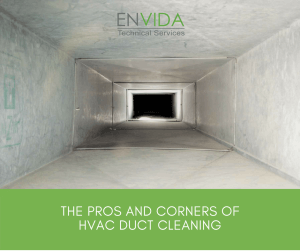 The best way to clean a duct in a restricted environment is to simply clean at the right time. Many projects either never clean or clean at the wrong time. Having a NADCA-certified company work with your construction team ensures the creation of enough access for cleaning as well as cleaning to an internationally certified standard.